Science once had an unshakable faith in its ability to bring the forces of nature—even human nature—under control. 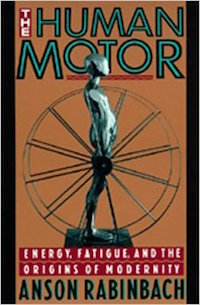 In this wide-ranging book Anson Rabinbach examines how developments in physics, biology, medicine, psychology, politics, and art employed the metaphor of the working body as a human motor. From nineteenth-century theories of thermodynamics and political economy to the twentieth-century ideals of Taylorism and Fordism, Rabinbach demonstrates how the utopian obsession with energy and fatigue shaped social thought across the ideological spectrum.